On May 23-24, governments, political leaders, civil society organizations, and the private sector will come together in Istanbul for the first-ever World Humanitarian Summit (WHS). This major international event comes as the world is experiencing extreme human suffering. On May 23-24, governments, political leaders, civil society organizations, and the private sector will come together in Istanbul for the first-ever World Humanitarian Summit (WHS). This major international event comes as the world is experiencing extreme human suffering. Armed conflicts and natural disasters have reached staggering levels. We are in the midst of the greatest displacement crisis ever recorded -- nearly 60 million people, half of them children, have been forced from their homes in recent years. Over 218 million people each year are affected by disasters, costing the global economy more than $300 billion annually. In Canada, governmental allocations to humanitarian assistance have risen significantly over the past two years, reflecting the rising global need. According to annual statistical reports, total Canadian humanitarian spending rose by 62 per cent between 2012-13 and 2013-14, from $528 million to $857 million. This was the largest year-on-year increase (in both dollar and percentage terms) in at least a decade. In 2014-15, Canadian humanitarian assistance stayed steady at $847 million. Just as importantly, humanitarian assistance is growing in relative terms within the Canadian "aid pie." The share of Canada's Official Development Assistance (ODA, or aid) committed to humanitarian programming rose by more than half, from a four-year average of 10.7 per cent from 2009-10 through 2012-13, to an average of 16.3 per cent in 2013-14 and 2014-15. The growing humanitarian need is real, and so is the growing relative importance of humanitarian assistance. Canada -- and the world -- are being required to respond. Yet global humanitarian systems remain overstretched and under-resourced. A recent UN report showed a $15-billion dollar gap between available financing for humanitarian assistance and global human need. As the authors of this report wrote, "never before has generosity been so insufficient." It is in this context that the World Humanitarian Summit is being convened. 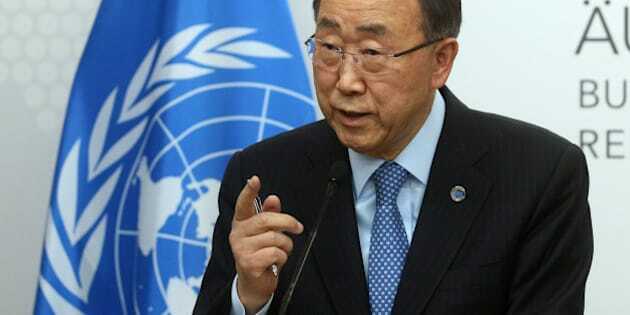 The WHS is a special project of UN Secretary-General Ban Ki-moon. The Secretary-General released a report in advance of the summit laying out an "Agenda for Humanity" -- five areas in which the international community must engage to improve humanitarian response and support human beings in need. These five areas have been translated into seven high-level roundtables to be held at the Summit, where world leaders and government representatives will unite to tackle core global humanitarian challenges. To raise awareness and knowledge around the Summit, the Canadian Council for International Co-operation and eight leading Canadian humanitarian organizations have contributed articles to a blog series on the themes of these WHS roundtables. Every two or three days between now and the Summit, a new article will be posted to this site showcasing a distinct challenge facing the international humanitarian community. Amidst great and rising global humanitarian need, and in light of the upcoming WHS, there is no better place or time than this to think about how we can all help. Whether responding to conflicts or to natural disasters, Canadians are committed to engaging responsibly and proactively with global issues and as global citizens. This series hopes to better inform and prepare Canadians to do just that. Gavin Charles is Policy Officer at the Canadian Council for International Co-operation. This blog series on the World Humanitarian Summit was convened by the Canadian Council for International Co-operation. The views expressed in each blog are those of the authors, and do not necessarily reflect the positions of CCIC, its members, or other participating organizations.